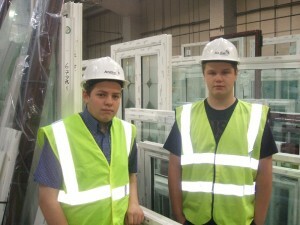 As part of a work-based learning programme, Matt Banks (17), Jason Redfearn (17), Lewis Watts (18) and Adam Farr (23) will join teams of experienced installers on contracts at 2010 Rotherham Ltd, North Lincolnshire Homes, St Georges Community Housing (Basildon) and South Essex Homes. Run in conjunction with West Suffolk College, the apprenticeship programme provides each apprentice with the opportunity to develop the skills and knowledge they require to undertake the role whilst gaining vital training from experienced installers. At the end of the course, each apprentice will receive a NVQ Level 2 in Window Installation having also learnt a range of key skills in communication, equality and diversity awareness, customer service and numeracy. This announcement coincides with Apprenticeship Week 2010, organised by the National Apprenticeship Service (NAS).